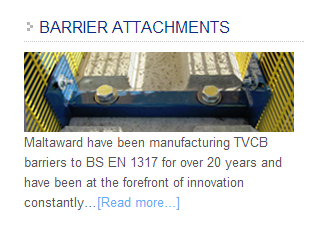 We have a range of attachments that can be can hired and used with our TVCB concrete barriers. Our new page on the website is designed to guide you through what we have to offer ranging from simple mesh fence panels & access gates to unique specially designed security systems manufactured to your specifications. With years of experience in hiring and supplying barriers , we can ensure you get exactly what you need when you need it delivered by our own drivers on our own transport. So when you need to secure your sites but also need to fence them off, we have the attachments you need to achieve this quickly efficiently and cost effectively, use in conjunction with our interlocking TVCB barriers, giving you peace of mind every time.